There invoices and simplified invoices or tickets. On the ticket or simplified invoice only the issuer's tax information appears. On the Invoice appears the fiscal information of the issuer and the recipient. If the receiver wants to deduct the VAT, he needs an invoice, he can not do it using a ticket, since his fiscal data does not appear in the document. There are also "gift tickets" which is a new type of document usually offered by the merchants, which does not detail the price of the items. This is usually used when a gift is given to someone and you do not want to see the price of it. In addition, you can send them by email to the customer directly. Simply click on Send ticket or invoice by email and the customer will receive it in his mailbox. 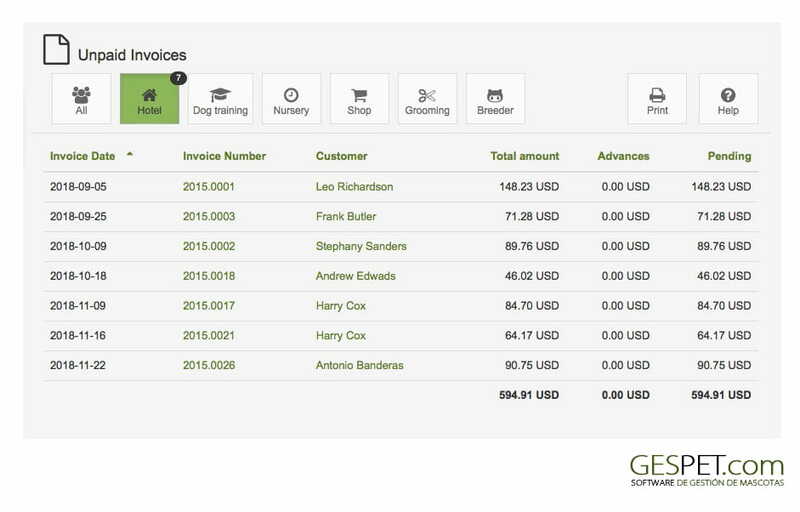 You can control the unpaid bills and quickly see in detail the money paid and the unpaid money of each invoice.